Karting in Tenerife - for budding F1 drivers! Karting in Tenerife - for all you budding F1 drivers! 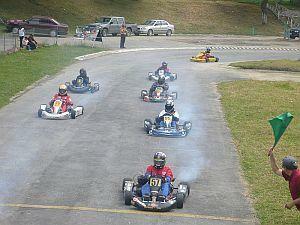 There are two separate venues for Karting in Tenerife. The most famous is the Tenerife Karting Club. 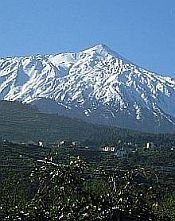 This is located between Guaza and Las Chafiras. The other, smaller and less famous, is in the Fañabe area, just outside Las Americas. 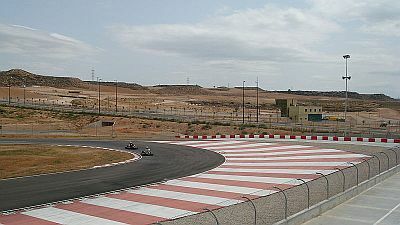 This Karting track is found off the Carretera del Cho, the road running parallel to the motorway TF-1, between Guaza and Las Chafiras. There are two separate circuits: the International, claimed to be number one in Europe, providing 1,200 metres of track with a minimum width of eight metres plus one for children. There are five different karts to choose from. For full power racing, choose between the "Superkart", the "Competicion" or the "Cadete". There is also the option of a two-seater and, for younger racers, the smaller "Ponny". Your Karting in Tenerife experience is further enhanced by a cafeteria and bar, where, should you not want to drive a real kart, you can play on a giant Scalextric track - your thumb does all the work! Tenerife Karting Club also has a large viewing terrace and ample car parking. This is a sort of "little brother" to Tenerife Karting Club. For those of you staying in the Las Americas area, it is a lot more convenient to get to. Situated at Lagos de Fañabe, about a five minute drive from the centre of the resort, it is as good a place as any to burn rubber!